A detective investigates a psychopath who creates eerie artwork out of his victims. 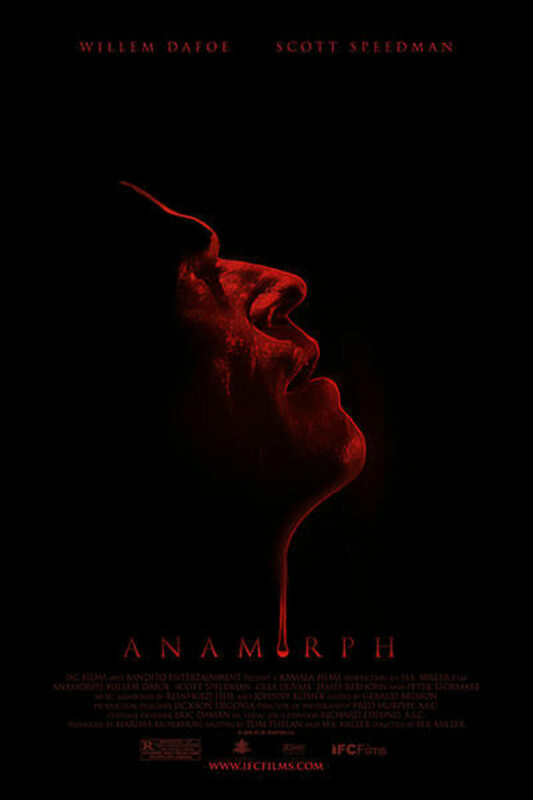 Willem Dafoe (ANTICHRIST) is Stan Aubry, an alcoholic detective drawn into the web of a super-smart serial killer who arranges his kills to reveal secret images when viewed at certain angles - an artistic technique called anamorphosis. But when his former partner is murdered, Stan himself becomes a suspect. Henry S. Miller's (OCCUPANT) twisted killer thriller features a stellar supporting cast including Debbie Harry, Mick Foley, Scott Speedman, Clea DuVall and Peter Stormare. Contains strong language. A detective investigates a psychopath who creates eerie artwork out of his victims. Though in retrospect I am usually quite critical a viewer, going into horror I tend to be fairly forgiving. So, sitting through this dreadful, plodding mess was nothing too new to me, but something I was willing to do to see where it was going. Somewhere in here there's a really neat story, and what probably drew the couple of hard-hitting cast members to the film, but the execution just kills any shred of innovation, suspense or indeed shock that might have been there originally. There's not a single thing to recommend this film: the score is bad, dull and overbearing; Defoe and Stormare turn in record-weak performances; the sets are uninspired and uninteresting; and the plot would have been weak for a half-hour TV show, let alone a feature. And if anyone's going into this -- after reading the description -- thinking there will at least be the opportunity to see some great works of art turned into macabre masterpieces of murder, don't bother: the artwork committed by the murderer is all original. Yet another disappointment (at least for me) from this most disappointing of films. Wow, I'm usually the most patient of film fanatics but this one tested me. Undeserving of it's cast this is a dull, badly paced and utterly predictable thriller with no thrills. Avoid! Does not deserve 4 stars on average. There are way better movies in this genre (seven, silence of the lambs, copycat.. to name a few). This one is far from that level. Good acting by Dafoe and Stormare and a few good scenes is sadly not enough to make a good movie. Lacks intensity, story and bad ending. Wasn't as interesting as it thought it was. Not bad but there are better movies like this out there. Beautiful little gem of a movie. If you're looking for slasher, or detective chase genre - you will be disappointed. This is more of a philosophical journey, dwelling on questions of purpose, life and perception of art. It is a bit simplified for average viewer, but luckily not dumbed down. Willem Dafoe is great as usual, delivering as at the same time indifferent and obsessive detective trying to understand serial killer. Definitive watch, if you you like dark, intelligent movies.